Nearly 1.3 million Indian soldiers served in the war. Through memorabilia and paintings, artist Angeli Sowani depicts their sufferings, sacrifices and valour. A World War I recruitment poster. The year 2018 was one of sombre commemoration. It marked 100 years since the end of one of the most devastating acts of mankind – the First World War. Often described as the “war to end all wars”, not only was it among the largest in terms of military mobilisation, it was also among the deadliest. Around nine million died on the battlefield. And more than 74,000 of them were Indian soldiers. Much has been written about the horrors of the War, but the contribution of India’s soldiers hardly receives the narrative space it deserves. 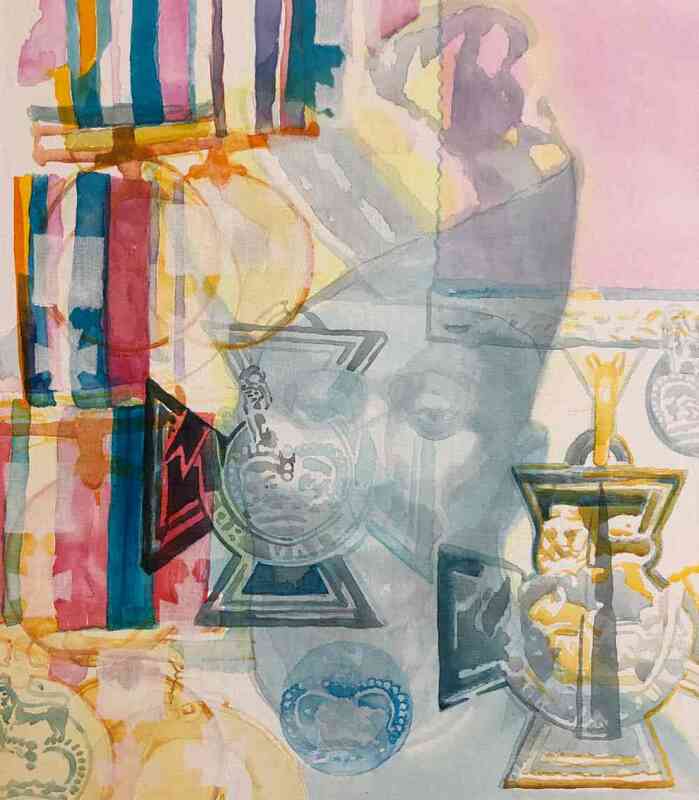 Artist Angeli Sowani tries to redress this imbalance in her Mumbai exhibition Medals & Bullets by shining a grim spotlight on the sufferings and sacrifices of some of the 1.3 million Indian soldiers who served in World War 1. A collection of 17 letters, 25 photographs, four posters and one song sourced from various archives, along with three large and 12 small paintings, form a part of the small yet austere exhibition, which showcases heart-wrenching tales of bravery, poignancy and tragedy. The story of war is the same everywhere, whether today on the borders of Kashmir or on the battlegrounds of Europe a hundred years ago. Thousands of young men march into battle, sometimes for the love of their nation, sometimes for glory, but most often just to sustain themselves and their families. Some of the exhibits in Medals & Bullets vividly highlight this arc of motivation, action and consequence. 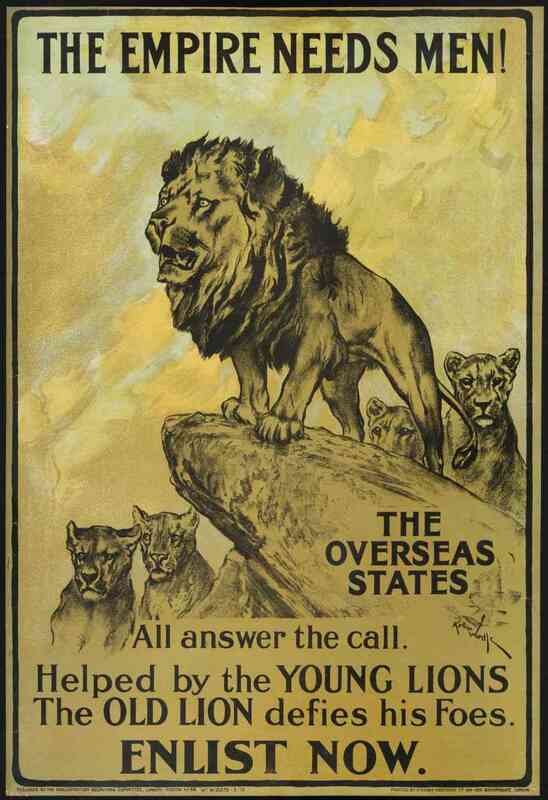 In one recruitment poster, a lion representing the British Empire calls for young men to join its ranks. 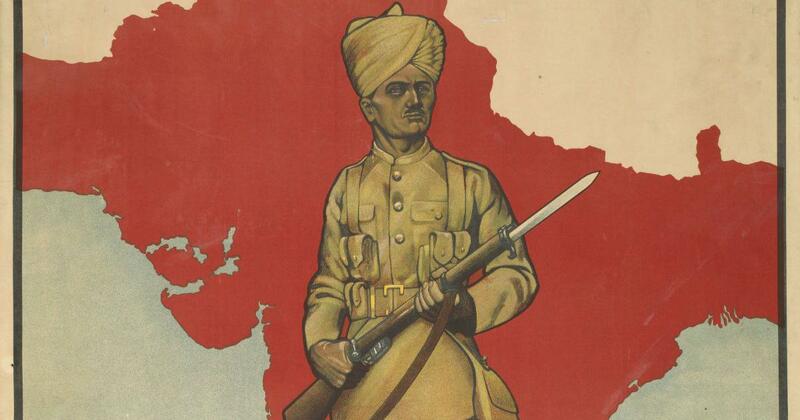 A second poster promises an exciting life and good pay, while a third depicts a strapping uniformed man poised with his bayonet against the map of united India. 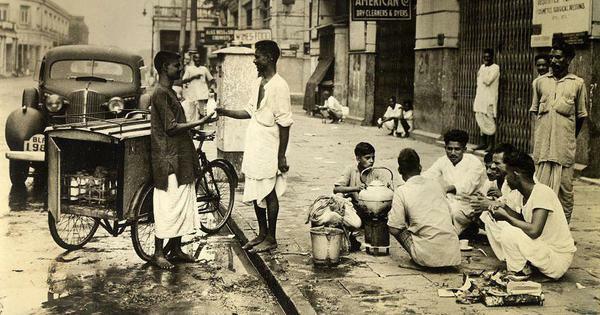 A set of photographs then shows the kind of men who were lured by this promise. They are dressed in khakhis, holding weapons and sometimes wearing chappals, as they venture into the hostile unknown. But the most haunting exhibits are the letters that carry their homesick, horrified and vulnerable voices across the century. These achingly simple and veritably Indian analogies speak of the terror and isolation felt by its writers. When juxtaposed with letters of royal commendation, the differences between the state and its people stand out. So when one reads a letter from the Buckingham Palace, signed by King George, stating that the “Queen and I wish you God-speed, and a safe return to your homes and dear ones. A grateful Mother Country is proud of your splendid services characterised by unsurpassed devotion and courage”, it’s hard not to be reminded of the “thoughts and prayers” tweets today’s leaders dole out in the face of tragedy. 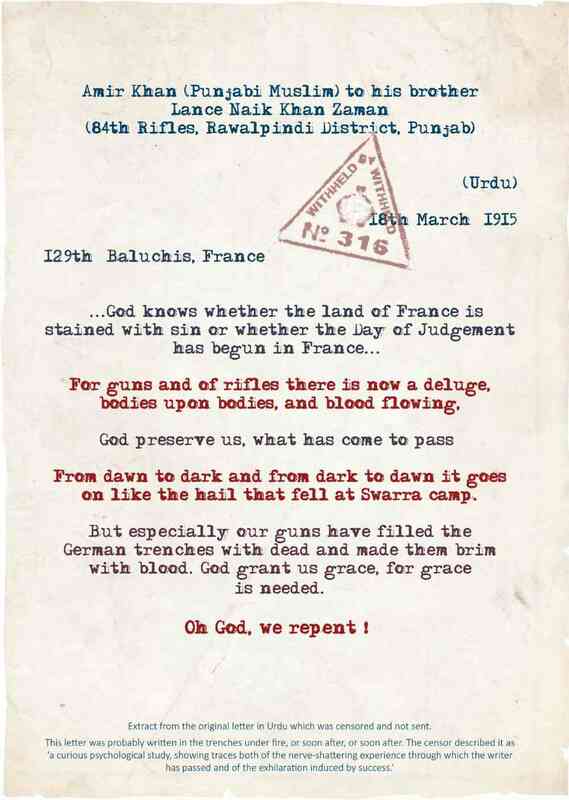 Letter from Amir Khan, 1915. 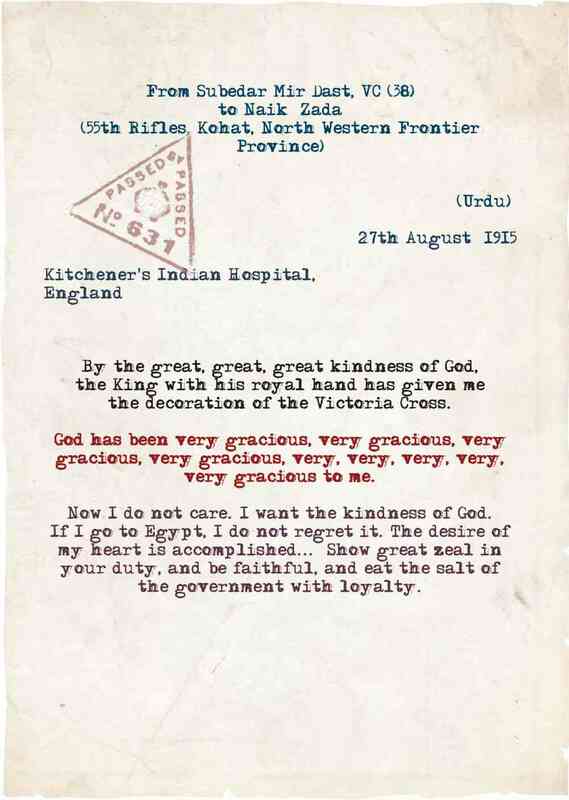 Letter from Subedar Mir Dast, VC, 1915. 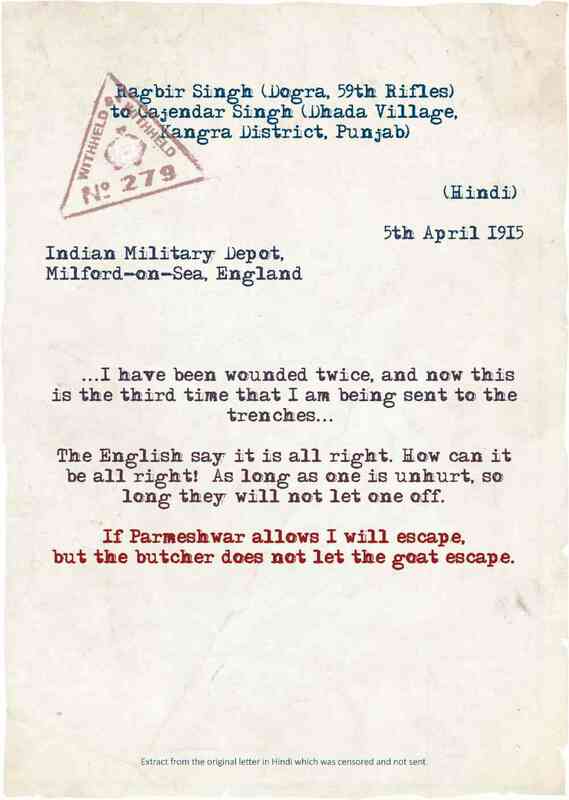 Letter Sepoy Ragbir Singh Dogra, 1915. Naik Darwan Singh Negi, VC. 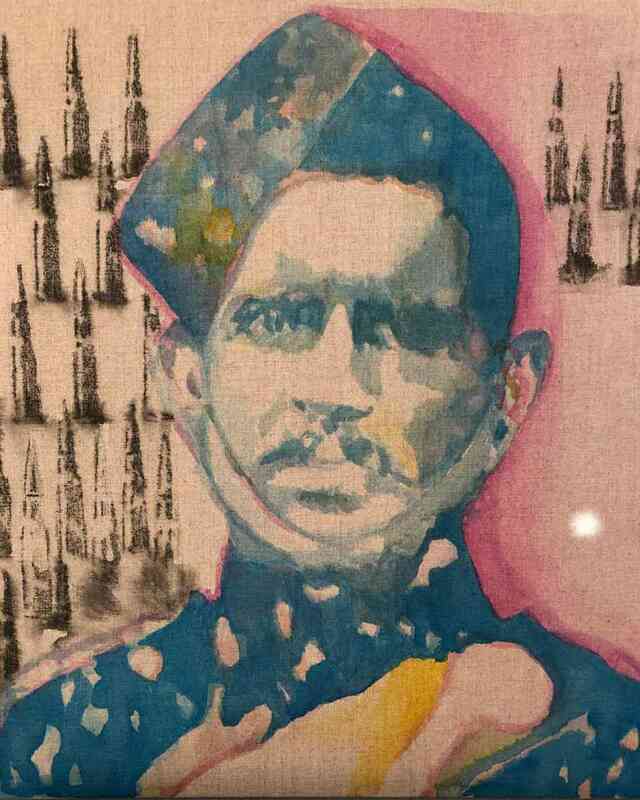 Other Indian soldiers who speak to us through Sowani’s paintings include Naick Darwan Singh Negi VC, Rifleman Karanbahadur Rana VC, Sepoy Chatta Singh VC, Lance Naik Lala VC and Rifleman Kulbir Thapa VC – each one a recipient of the prestigious award and thereby an example of how Indian men were not as effeminate as Thomas Macaulay and his British counterparts infamously branded them. The time to wake up is perhaps now. 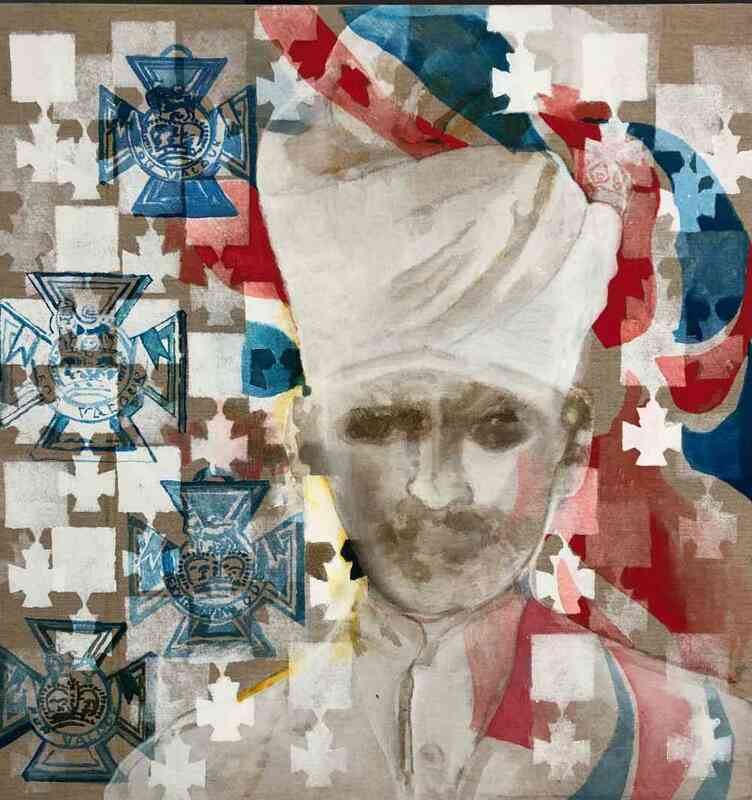 Medals & Bullets by Angeli Sowani is on view at Jehangir Art Gallery, Mumbai till March 24.